This is the third in a series of articles, in which I attempt to sketch various approaches to reconciling a cosmological age of the universe currently estimated at 13.75 billion years with the Jewish tradition setting this age at less than six thousand years (5770 as of the day of this writing, to be exact). 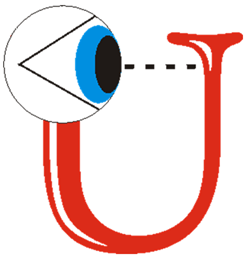 The first article  tackled this problem from the point of view of Copenhagen interpretation of quantum mechanics suggesting that there were two distinct forms of existence—physical and proto-physical—and that the first conscious observers, Adam and Eve, collapsed the universal wavefunction, bringing the world from amorphous proto-physical existence into tangible physical existence. This approach leads to two distinct timelines and two legitimate ages for our universe: one, the cosmological age of proto-physical existence prior to the collapse of the wavefunction, from the Big Bang until the creation of the first human observers; and second, the much shorter age of our physical universe, from the creation of the first human observers until now. The second article  in the series, approaches this problem from the point of view of the many-worlds interpretation of quantum mechanics. Not surprisingly, we again arrived at two timelines: first, the cosmological age of the multiverse from the Big Bang until the first human observers, who chose the universe in which we find ourselves based on the Anthropic principle; and the second age, from that time until now. In this paper, we approach the age of the universe on a more fundamental level, probing the nature of time itself. Surprisingly, here too, we end up with two timelines: the static (metric) time from the Big Bang until the first humans, who set off the flow of time by construing the meaning of the self-referential construct of the universe; and the second, dynamic time (with time-flux), from that point forward. So whence the worry and fret? Time plays a critical role in the existence of the universe. In fact, the very notion of existence implies temporal existence, i.e., existence in time. Nothing in the physical world exists outside of time. God’s holiest name, the Tetragrammaton, YHWH, is an acronym of the Hebrew root HYH (being) in three tenses—haya (was), hoveh (is), yihiyeh (will be)—past, present, and future—indicating that God, for Whom past, present and future are all one, transcends time. The first word of the Torah is Bereshit, which is usually translated as “In the Beginning.” According to the Ramban (Nachmanides), the first words in the Torah, “Bereshit bara Elokim et hashamayim” mean that God (Elokim) created (barah) the beginning (bereshit, the beginning, i.e., time) and space (shamayim). The very first mitzvah given to Jews in the Sinai desert, after the exodus from Egypt, was the commandment to establish a calendar by sanctifying the new moon; i.e. the commandment to keep time. The possibility of combining space with time and even with a “spiritual” dimension is simple: each is orthogonal to the others (i.e., independent of the other dimensions), each behaves like a mathematical space, and each possesses a metric, i.e., a geometrical structure, which allows us to measure the distance between two points in each dimension. In space, it is the spatial distance between two points; in time, it is the duration between two events; and in the “spiritual” dimension, wherein each point represents a concept or an idea and distance is the measure of the conceptual similarity (or dissimilarity) between two ideas. This metric property, common to space, time, and spirituality is static in nature. It is this flow that seems to divide time into past, present, and future, with time forever flowing from future into past, or, depending on your perspective, us swimming in the river of time from the past into the future. Starting with Boltzmann, physicists have been looking for the time-flux to explain this never-ceasing flow of time, with some suggesting that time-flux is a fundamental force of nature. This quality of time, however, defies mathematical description. If we ask, “what is the speed of the time flow?” the typical answer, “one second per second,” is, of course, a tautology. Most attempts to answer the question involve circular reasoning. Despite the popular misconception, Newton’s second law is a mathematical equation that describes a static function. It essentially says that if we know the position and the velocity of a particle in a moment t (which is a point on a timeline T), we can calculate its position and velocity at any other point t’ on the timeline T. The second law says nothing about the flow of time, nor does it predict that the moment at the point t’ on the timeline will “come to pass.” All points on the timeline T coexist “simultaneously,” as it were, at least as far as the mathematics of it is concerned. (It is quite possible that Newton understood this, and was therefore compelled to add, as a separate axiom, the statement that “absolute, true, and mathematical time, of itself, and from its own nature flows equably without regard to anything external.” [‎10, Scholium I]) Alas, the axiom about time-flow added by Newton isn’t very helpful because it is essentially circular, as it begs the question, “what is ‘flow’?” which brings us back to where we started. This axiom, unfortunately, doesn’t provide a mathematical model for the flow of time. Many have attempted to explain time as an emergent phenomenon, but these attempts have yet to bear fruits. 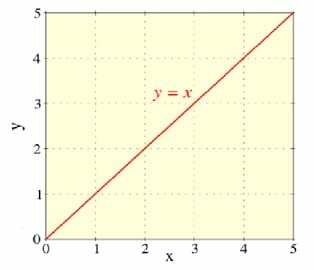 All points on the X and Y axes exist simultaneously. Change is a product of our mind when we mentally “travel” from point to point on a line, contemplating one point at a time. The only form of mathematics that uses time is algorithmic mathematics, in which steps are performed one at a time, either mentally or by a computer. Fractals are but one example of mathematical objects built algorithmically. [‎11] In general, the recursive function y=f(x), wherein the next value of the argument x is the value of function y calculated in a previous iteration, requires time, as each step is performed one at a time. Time, although necessary, is extrinsic to algorithmic mathematics and the latter does not explain or describe the former. Any attempts to describe time mathematically prove to be circular. In physics, on the other hand, time plays the central role. It can be said that it is time that transforms mathematics into physics. Indeed, all processes in nature involve time. There is no physical object or physical phenomenon that exists outside of time. Every bit of energy has its own intrinsic clock, courtesy of the de Broglie frequency associated with it: E = hν. (Where E is energy, ν is frequency and h is Planck constant) Every elementary particle has energy and, therefore, has its de Broglie frequency, which constitutes its proper clock [‎4]. Physics without time is unthinkable. And yet, since physics uses the language of mathematics, which is helpless to describe time, physics too is very limited in its ability to capture the essence of time. David Park similarly wrote, “our consciousness crawls along our worldline as a spark burns along a fuse.” (‎12, p. 113). With our fundamental inability to mathematically describe—let alone explain—the concept of time, we find ourselves at an impasse. As many philosophers have noted, time-flux exists only in our minds. The flow of time requires change. As Aristotle pointed out, “Time is a measure of change.” [‎16, IV:11] Moreover, “If time is a measure of change in respect of the before and after, then a necessary condition of there being time at all is the existence of change.”[‎‎17, p. 215] Unfortunately, any attempts to describe change implicitly bring time into the picture. For change to occur, a system must have at least two states that it can assume, as a variable must have at least two values between which it can change. In its bare form, time is related to causality. Ancient Romans thought that “post hoc, proctor hoc” (after means because). We know that it is a logical fallacy that is not always true, but that the inverse is always true: fact must always follow its cause. This has been the gist of the causal theory of time developed by Hans Reichenbach in 1929 [‎18]. This is necessary because, in order for a system to change from state A to state B, state A must have caused state B. In Jewish tradition, we have a number of similar examples. Perhaps the most familiar self-referential paradox discussed widely in Jewish literature is whether the Almighty can create a stone that He cannot lift. This is not the place to discuss various approaches to this paradox among Jewish sages. Suffice it is to say, it is a typical self-referential construct that is very similar to the Liar’s paradox of antiquity. We are dealing here with a situation when a father or a husband hears a woman making a vow and wants to annul this vow in a conditional form constructed by Rabbah. According to Biblical law, a father (or a husband) can revoke his daughter’s (wife’s) vow upon hearing it. Once, however, the father (husband) confirms his daughter’s (wife’s) vow, it can no longer be revoked. Here, however, the very confirmation is conditional on revocation. As a result of this self-referential construct, the vow is confirmed if revoked, and revoked if confirmed. Consider the statement, “I am a rashah (evildoer).” In this statement, one testifies against oneself about committing a grave sin that qualifies him as a “rashah” (e.g., he admits he killed someone). If this is true, he is indeed a rashah. However, if he is a rashah, he is disqualified, according to Talmudic law, from being a witness; therefore, we don’t believe him [20, 9b]. That strikes his admission of sin and removes his disqualification as a witness, which brings us full circle back to his sinful act, etc., ad infinitum. Perhaps this vicious circle is the unstated reason that, in Talmudic law, one cannot testify against oneself in the first place. Rav Yosef said: [if someone says that] a certain person sodomized him (which is a capital crime) against his will, he and another [witness] combine to testify against the sodomizer to have him put to death [for his crime]. [However, if someone says that he was sodomized] with his consent – [since, according to his own testimony,] he is a sinner, [he is ineligible to testify against the sodomizer,] for the Torah said: Do not use sinner as a witness. Rava said: a person is [considered] related to himself, and [therefore] he cannot [disqualify himself by] establishing himself a sinner. What we have in the first part of this Gemara is a self-referential construct, wherein a person offers self-incriminating testimony against another person, so that his testimony renders him a sinner and disqualifies him as a witness. Rava decisively resolves the paradox by prohibiting self-incriminating (i.e., self-referential) testimony. One can create many such examples, a common thread of which would be that a person’s testimony about being involved in a sinful activity disqualifies him from being a kosher witness. The Talmud resolves this conundrum by invoking the method of palginan d’dibura, i.e., “splitting the speech,” whereby we accept the part of a witness’ testimony related to another person, but do not accept the part of his testimony with respect to himself that would disqualify him as a witness altogether. In other words, the Talmud prohibits self-referential statements that cause circular reasoning. This principle doesn’t always help. An interesting example was described in Minchat Chinuch [‎21]. Two witnesses come to Bet Din (Rabbinic Court) to testify that they saw the new moon. The Bet Din proclaims Rosh Chodesh (New Month) based on their testimony. Say a boy whose thirteenth birthday coincides with this declared Rosh Chodesh comes to the Bet Din and disqualifies the two witnesses as “edim zomemin” (false witnesses), stating that they had been with him at the time in another place and could not have seen the new moon. Since for a witness to be credible in a Beth Din he must be at least thirteen years old, his testimony sets off a vicious cycle: if we accept the testimony of the boy as true, thereby disqualifying original witnesses, which causes the day not to be the Rosh Chodesh, in which case the boy is not yet Bar Mitzvah, and has not reached legal majority to be accepted as a witness in court. We then must dismiss his testimony, which redeems the original witnesses and reinstates the Rosh Chodesh, thus making the boy a Bar Mitzvah, in which case we must accept his testimony, etc. ad infinitum. This is a Jewish version of classical Lair’s Paradox. As always, it involves a self-referential logical construct. It may be assumed that, for any given criterion, a set exists whose members are those objects (and only those objects) that satisfy the criterion. This assumption is disproved, however, by a set containing exactly the sets that are not members of themselves. If such a set qualifies as a member of itself, it would contradict its own definition as a set containing sets that are not members of themselves. On the other hand, if such a set is not a member of itself, it would qualify as a member of itself by the same definition. We have a paradox. Let us now consider the set of all normal sets, N. Attempting to determine whether N is normal or abnormal leads to a contradiction: if N is a normal set, it is contained in the set of normal sets (itself), and therefore is abnormal. If, on the other hand, it is abnormal, it is not contained in the set of normal sets (itself), and therefore is normal. This leads to a paradoxical conclusion that N is both normal and abnormal. In a popular example of Russell antinomy, known as the Barber paradox, let us consider a barber who shaves men if and only if they do not shave themselves. Contemplating the question whether the barber should shave himself or not, we set off an infinite vicious cycle. (3) The paradox is resolved by the introduction of time or, alternatively, the logical sequence is what sets off the flow of time. This can be interpreted to mean that time is necessary to break the contradiction in a self-referential system, as each logical value is assumed in a different moment in time. This brings to mind an aphorism that time is how G-d keeps things from happening all at once. Or, alternatively, time-flux itself arises out of attempting to construe the meaning of a self-referential construct, such as, self-awareness. This is easy to see if we introduce new terminology: a → b means that a precedes b, and that b proceeds a. The sequence: true, false, true, false can be rewritten as 1 → 0 → 1 → 0, etc. the elemental cycle of this oscillation is a pair (1, 0) representing True/False (T, F). Such a pair represents a bit of information. 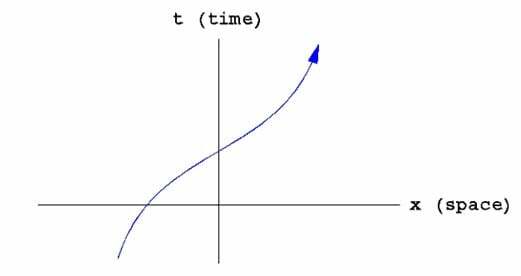 Consequently, this oscillation of logical values (T, F,) creates an ever-accumulating number of bits of information, which may explain the arrow of time. Usually physicists test their theories with experiments, but this idea borders on metaphysics, and therefore cannot find support experimentally. Therefore, my reality check is to see if these thoughts can find supported in Chaza”l. Let’s review the argument: First, time is change. As we mentioned earlier, Sefer Yetzira describes the world as existing in the three dimensions of Shana, Makom, and Nefesh—year (time), place (space) and soul (spiritual dimension). The word “shanah,” year, is etymologically related to the word “shinuy,” change. Hence, we see that the idea of time being synonymous with change is rooted in the Hebrew language of the Torah. Second, change requires two possibilities. This too is found in Hebrew grammar as the word shinui – change – has the same letters as the word shnei – two, reflecting the notion that any change implies a transition from one state to another, for which these two state or two possibilities must exist a priori. Thus the second element of our argument is also hardwired into the Hebrew language. This model of time allows us to view in a new light the age of the universe. We can now separate time into two possible types of time: “static” time, which possesses metric qualities but no flow, and “dynamic” time, which has both metric qualities and the flow. Using the age-old river analogy, “static” time can be envisioned as a frozen river. One can measure the distance between fish frozen in ice as a metaphor for measuring duration between events, as “static” time retains its metric properties. Each water molecule in a frozen river has its own coordinates and maintains its relative distance, so as in frozen time, each moment has its place in the timeline, but the flow is missing. When the ice melts and the river starts flowing (while maintaining all relative distances between it molecules), this is a metaphor for the “dynamic” time. Jewish philosophers recognized two types of time: measured time and essential time, which is called in the Guide for Perplexed shiur zman or dmut zman [‎23, Part 2, Ch. XIII; see also ‎24, p. 44], or in Sefer HaIkarim it is called zman bilti meshuar, i.e., the immeasurable time [‎25, Ch.2:18]. Our idea of two aspects of times neatly corresponds to the two types of time discussed by Jewish philosophers: the metric time corresponds to the immeasurable or essential time (shiur zman) and the dynamic time corresponds to the measured time (zman). On the first blush, this may seem counterintuitive. 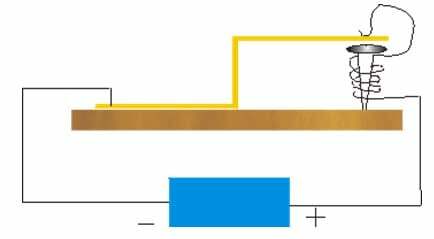 Metric time possesses metric, dt, which allows us to measure distance (duration) between any two point on the timeline as an integral ∫dt. How can this correspond to the “immeasurable” time? To answer this, we need to recall that Jewish medieval philosophers were essentially neo-Aristotelians who, following Aristotle, considered time to be an accident of motion. As such, time must be measured by motion (such as planetary motion, or clocks). Consequently, when there is no motion, time cannot be measured – hence it is called immeasurable time. The metric time is also immeasurable in this sense (by motion) because in metric time, which does not “flow,” there is no motion. The metric is a pure mathematical construct imposing topology on the set of events we call a timeline. Only dynamic time, which allows for motion, can be measured by moving bodies. Thus, there is no contradiction in correlating our metric time with immeasurable time (zman bilti meshuar) of Sefer HaIkarim or essential time (shiur zman or dmut zman) of Guide for the Perplexed. At the first stage, the primordial notion of time in its most abstract form was an ordered set of events wherein for any two events, one can say that one event preceded the other event on the timeline, i.e., the first event was “earlier” than the second event. On the second stage of development, timeline acquires metric geometry, which allows to measure the distance between two events. At this stage we not only can say that event A preceded event B but also buy how long it preceded it. Lastly, in its final stage of evolution, time acquires the property of flow, the time-flux, at which stage we call it dynamic time. 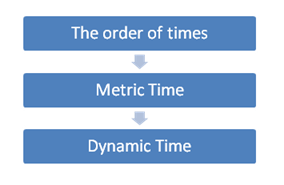 Our concept of two times also corresponds with the kabalistic notion of “lower” time, and “higher” time, lower time (corresponding to dynamic time) originating in the midot, and associating with the flow of time, and higher time (corresponding to metric time) originating in the sefirot of ChaBaD (Chochmah-wisdom, Binah-understanding, Daat- Knowledge), which has metric qualities, but lacks flow. Our model yields two distinct timelines. The time before Adam and Eve can be classified as metric or “static” time. Adam and Eve, as the first conscious beings, set off the flow of time when they first attempted to view and understand the universe, thereby starting a new dynamic timeline. One may ask: Adam was not from the island of Crete, so why would he be busy with the liar’s paradox? John Archibald Wheeler has answered this: “The universe through the eyes of a conscious observer looks back at itself, which brings it to a tangible existence.” [‎21, pp. 564-565]. The universe, in the words of late Prof. Wheeler, is the ultimate self-referential statement. According to von Neumann and Eugene Wigner only a conscious observer can collapse the wavefunction (see a detailed discussion of this in [‎1]). It, therefore requires a conscious being to collapse the universal wavefunction. Thus, the universe must first produce consciousness, which allows a conscious observer to look back at the universe and collapse its wavefunction; thereby, bringing it from an amorphous proto-physical existence as an abstract probability distribution into a tangible physical existence. In our model, the universe also requires a conscious being who attempts to give meaning to this self-referential construct—the universe attempting to collapse its own wavefunction or simply to understand itself—thereby setting off the flow of time. Thus, we again end up with two timelines: one long, cosmological timeline (currently measured as 13.75 ±0.17 billion years old [‎26]) and much shorter time that starts with the first humans, Adam and Eve, and which is believed, according to the Jewish tradition, to be 5770 years as of the time of this writing. This provides another approach to resolving the contradiction between the cosmological age and the traditional Jewish age of the universe similarly to how I explained it based on a quantum mechanical model (see [‎1] and [‎2]]. In the first model [‎1], based on Quantum Mechanics in its traditional Copenhagen interpretation, the world before Adam and Eve existed as an abstract probability distribution described by a wavefunction. It was Adam and Eve who, looking back at the Universe, collapsed the wavefunction thereby bringing the world into its tangible existence. But the wave function comes with all its past history. Thus, when we measure today the cosmological age of the universe we find it to be approximately 13.7 billion years. In the second model, the same results have been obtained using the contemporary many-worlds interpretation of Quantum Mechanics as well as based on my novel interpretation involving clock synchronization proposed in [‎2]. The Jewish Tradition, on the other hand, speaks of time from the moment this world came into actual physical existence, which happened when Adam and Eve collapsed the wavefunction (or chose one of the parallel universes in many-worlds model) some 5770 years ago. Similarly, in our present approach, the world existed in its “frozen” form for some 13.7 billion years before the first humans came along and “unfroze” it, setting off the flow of the river of time. Once again, this new time line comes with entire history that existed before the time-flux begun so that when we measure cosmological time today, we measure the age of the universe from the time of the Big Bang, not from the moment when the time started flowing, thanks to Adam and Eve. Is it coincidental that the three different approaches described my two previous papers and herein arrive at essentially the same result? I don’t think so! Of course, it is no wonder that the first two approaches yielded the same result as both were based on the same quantum mechanics albeit in its different interpretations. Why, however, did we arrive at the same result by analyzing the nature of time itself? It seems to me, there is a deep fundamental connection between quantum mechanics, the nature of time and our consciousness. As mentioned above, such undisputed authorities on quantum mechanics as von Neumann and Wigner believed that it is human consciousness that collapses the wavefunction. Likewise, we believe that it is consciousness that sets off the flow of time by attempting to construe the meaning of self-referential construct, of which consciousness attempting to understand itself is prime example. Similar sentiments have been expressed before by such thinkers as Paul Davies [‎4] and Douglas Hofstadter [‎20]. Quantum mechanics, time and consciousness all swirl around the fundamental notion of self-reference as behind all of it is the infinite, singular and omniscient Creator, who, according to the Rambam [‎27], knows all by knowing Himself—the ultimate self referential construct. Alexander Poltorak, “The Age of the Universe: Using the Many-Worlds Interpretation of Quantum Mechanics,” B’Ohr Hatorah (2008) vol. 18, pp. 149-168. Augustine of Hippo, Confessiones lib xi, cap xiv, sec 17 (ca. 400 CE). H. Weyl, Philosophy of Mathematics and Natural Science (Princeton University Press, Princeton, NJ, 1949). Strictly speaking, the Cosmological time, i.e., the period from Big Bang until the present moment, is comprised of two distinct periods: (a) the proto-physical existence from the Big Bang till the first conscious observer who collapses the universal wavefunction, and (b) the physical existence from the time of the collapse of the wavefunction until the present moment. The second period, however, is less than the margin of error of the first period. Therefore, for all practical reasons, we can speak of the Cosmological period as only the first, proto-physical period. Multiverse is a term used to describe a collection of parallel universes in quantum cosmology and string theory. Just ask from where worried wrought? The Divine emanations, Sefirot, in this context are seen as the opposite directions of each of the five dimensions – hence ten Sefirot [‎4, 1:5, p. 44]. If the two concepts are equivalent, they occupy the same point in conceptual space. If concept A is the negation of concept B, i.e., A = Not B, then the two concepts, A and B, are said to be are infinitely far apart. The more similar two ideas are, the closer they are position in this conceptual space. See [‎5]. For an interesting discussion, see Olson, E.T. (2009) ―The rate of time‘s passage. Analysis 61: 3-9. van Inwagen, P. (2002) Metaphysics, 2nd Edition. Boulder, Co: Westview Press. Hudson H., Markosian N., Wasserman R., And Whitcomb D. The Rate of Passage: Reply to van Inwagen and Olson http://myweb.facstaff.wwu.edu/wasserr/papers/passage_web.pdf. In my opinion, there are two possible resolutions of this conundrum. Firstly, the question, “what is the speed of the passage of time?” is incorrect ab initio. As Aristotle already noted, time, by definition, is the rate (i.e., speed) of change. Consequently, to ask what is the rate of time is tantamount to asking “what is the rate of rate (or what is the speed of speed).” There is nothing wrong with the speed of speed for, as it is well known since the time of Newton, the speed of speed is called acceleration (i.e., the second derivative). But this is not what is being asked. The answer Olson gives is that since we cannot determine the rate of the passage of time, time does not pass. It is as absurd as to say that if a car is not accelerating, it is not moving! Secondly, according to the Special Theory of Relativity, time flows differently in different frames of reference depending on their relative speed. Therefore, one can properly say that time on an airplane flying overhead is flowing slower that time on Earth – a phenomenon known as time dilation. If fact, when we define in Special Relativity a four-dimensional vector of velocity, vi, the first three components of 4-velosity (v1,v2,v3) comprise all-too-familiar 3-velsosity of classical mechanics. The fourth component, however, v0, is calculated as v0=dx0/dτ, where τ is the proper time and x0 is time coordinate in another frame of reference. Here we have precisely the relative rate of time “flow” in one frame of reference with respect to another frame of reference! It is static diffeomorphism of a three-dimensional Euclidean space R3 into a one-dimensional Euclidean Space R1: R3 → R1, where R 1 is T and is used to describe the time dimension. Such as pressure and temperature that emerge in thermodynamics as a consequence of molecular motion. In Albert Einstein: Philosopher-Scientist, pg. 114. As we shall see later, logical contradictions of self-referential type can be “resolved” buy introduction of time, wherein the contradicting logical values take place in different moments in time. In this Talmudic example, interestingly, the analysis also takes into consideration the time element, namely, whether the statements “confirmed to you and revoked to you” take place simultaneously or consecutively (see Ran). Rava does it by invoking a Talmudic principle of palginan dibura, i.e. splitting the statement, so that we do not accept the part of the statement with respect to the witness himself but accept the part of the testimony as it relates to another. Some say, this is an old Texas saying. A variant aphorism: “Time is how nature keeps things from happening all at once,” is alternatively attributed to A. Einstein or J. A. Wheeler. Metric on a set is a distance function, which defines a distance between elements of the set (in our case, a distance between the points on a timeline, i.e., duration). Although the Rambam (Maimonides) disagrees with Aristotle in one important aspect about time – according to the Rambam, time is a creation. Evolution, of course, is a temporal concept and we are admittedly guilty of circular reasoning, which is illustrative of how inextricably bound our language is with time. Midot are seven lower sefirot: chesed, gevurah, tiferet, netzach, chod, isod and malchut. Very smart article. Like the idea that universe needs time to solve paradox of it’s self-referencial existence.